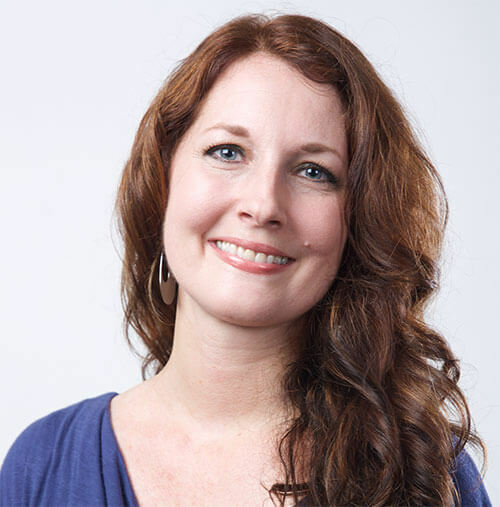 Andrea Aasen is the Executive Director and CEO of Extreme Love Ministries (formerly XP Missions). Andrea is an apostolic leader, mentored under Patricia King, who longs to see the nations restored. She and her team have worked in nations such as Thailand, Cambodia, Vietnam, and Iraq, developing community, business, and advocacy models to rehabilitate and protect victims of human trafficking and other forms of exploitation. Andrea believes in the power of love to overcome every injustice and is passionate to see women and children empowered and walking in their God created destinies. This month, Andrea shares what it mean to “become” the righteousness of God in Christ. This month we celebrate the resurrection of our Savior, Jesus Christ. What an incredible gift we have in Him, who overcame death and sin, making a way for us to enter into His abundance of life! Jesus paid our penalty on the cross so we could become the righteousness of God in Him. But what does it mean to “become” the righteousness of God in Christ? I can’t help but dwell on the precursory “might.” In every translation, the promise (as glorious as it is) is not automatically activated. Instead, choice gives us the opportunity to embrace righteousness. By grace and faith we receive this promise (it’s a free gift), but by free will we must choose to enter into it. We are required to make a trade – death for life. While Christ gave us everything that pertains to life and godliness (2 Peter 1:3), reflecting His image is a process of continual exchange. Our sin nature, back to Adam, must align with Christ’s blood covenant. Though His sacrifice brings us into eternal life, we still need to work out our salvation daily in the fear of the Lord (Philippians 2:12). We live in a world of compromise. Sin and entitlement frequent thoughts, actions, and motivations of heart. Many today are led by their feelings, making decisions out of fear or self-satisfaction. We often hear things like, “If it feels good, I’ll move into it,” or “If it’s too difficult, I’ll move out of it.” In our perversion, feelings justify sexual lusts, drunkenness, and other forms of disobedience. Many today are walking a life of lukewarm frailty (Revelation 3:16), where the wage of sin is death … death in our soul, death to destiny, and death to others. Your decisions affect your life and destiny, but they also impact others. I believe we are entering into a time in history where now, more than ever, we must set ourselves apart to become the righteousness of Christ. As the Church, we must look different from the world. We must rid our lives of every sin that entangles us (Hebrews 12:1) and posture ourselves to represent Christ, in purity and holiness. In addition to Easter, this month we also celebrate the Jewish holiday, Passover. There are incredible parallels between the two, linking both history and generational promise. Hidden within Passover is a roadmap to encounter Jesus and our call as sons. Through Jewish tradition, the holiday marks a celebration of freedom from Egypt, where Israel overcame the plagues of the land. In that time, each household required the blood of a perfect lamb to be sprinkled over the doorpost. The lamb was to be without blemish and roasted by fire. Before the new day, the lamb was to also be eaten, along with unleavened bread and bitter herbs (Exodus 12:8). This sacrifice brought the Israelites into freedom, protected their households from the curse of death, and marked an offering of obedience that set them free from slavery and on course to enter into the Promised Land. Sound familiar? Jesus was/is the perfect sacrifice whose blood now covers our house, setting us free from the curse of death, giving us life, and making a way for our eternal freedom and promise. He is our Passover Lamb! While most Jews are not yet connecting these activities to the freedom we have through Christ, they do acknowledge and remember the freedom that was given through God’s faithfulness to bring Israel out of Egypt. During a typical Jewish Passover, there are many customs that mark remembrance of these events. My favorite is the hiding of the leaven, which happens during the Feast of Unleavened Bread. Following Passover night, there are seven days reserved in which Jewish people are mandated to fast anything containing leaven (such as yeast and baking soda).The day before the feast, a search is done within their house, and all leaven must be removed. The entire house, from top to bottom, is searched, where every inch is examined – every drawer, cupboard, and corner. A feather is even used to clean the last crumb from the house, ensuring that no leaven remains – not even a drop! Tradition says that this activity marks the exodus following Passover, when the Israelites ate unleavened bread, before God’s manna was provided. While this is indeed a great remembrance, I also feel God has a deeper meaning in the feast-day tradition. Leaven is metaphorically referenced in the old and new testament as an agent (both good and bad) that spreads and produces itself quickly. In negative references, leaven is always compared to sin, corruption, and evil. For example, we are warned to remove every bit of leaven (sin), because even a little will affect the whole lump of dough (1 Corinthians 5:6; Galatians 5:9). This is old leaven that needs to be, just like the crumbs in Passover tradition, swept out of the house. For the house to be clean, every crumb must be removed. This tainted leaven, however, needs to be replaced with new leaven. Jesus refers to the Kingdom of God as that of a woman placing a bit of leaven into three sections of dough (Luke 13:20-21; Matthew 13:33). Similarly, the leaven hidden within each of the sections eventually affects the whole lump, but in this case, for good. In addition, Jesus tells us that He is the Bread of Life (John 6:35), satisfying our hunger and thirst. In Matthew 5:6, Jesus makes reference to those who hunger and thirst as those who desire righteousness. There is a blessing for those who seek righteousness; He promises to fill their desire. He will replace the old leavening agent with a new one. “Clean out the old leaven so that you may be a new lump, just as you are in fact unleavened. Sin will keep us from walking in the fullness of Christ’s resurrection life. Let’s activate God’s promise, through Jesus, and become righteousness. We want only His leaven to propagate. Here are 7 keys to help you walk righteously. Meditate on them and decree the Scriptures over yourself. Let’s rid our house of any old leaven and posture ourselves for the new. He will come and fill the space we create for Him. Let your righteousness be His resting place. 1) Invite the Lord to search you. God knows everything about you. He knows even the thoughts, the intentions, and the motivations that guide you. Yet still, He chose you. Invite the Lord to search your heart and make your way straight before Him. “Search me, O God, and know my heart; try me and know my anxious thoughts; and see if there be any hurtful way in me, and lead me in the everlasting way” (Psalm 139:23-24). Maybe there are still bits of leaven hiding within your house. Ask the Lord to reveal those places that need attention (Luke 8:17) and sweep your house clean. 2) Turn away from sin. God’s grace is not a license to sin. Rather, it brings us back into right standing. We should always aim to be upright and obedient before Him. The closer we follow after Him, the less sin will have a hold on us. Position yourself to be a pure vessel, and keep yourself free from sin and temptation. “Boasting over your tolerance of sin is inappropriate. Don’t you understand that even a small compromise with sin permeates the entire fellowship, just as a little leaven permeates a batch of dough?” (1 Corinthians 5:6 TPT). 3) There is no condemnation. Today is a new day! If the conviction of the Lord is stirring you to repent, then do so, but do not let the enemy trap you in shame or guilt. “Therefore, there is now no condemnation for those who are in Christ Jesus” (Romans 8:1). This season, believe that He will work all things for good, even the mistakes of your past. Repent, and ask the Spirit to change your heart, mind, and will to His. He will give you wisdom to do so. This season, let go of the past and step into the new. 4) Don’t strive for what you’ve already received. Know that your holiness comes from Him, “If the first piece of dough is holy, the lump is also; and if the root is holy, the branches are too” (Romans 11:16). 5) Invite the loving discipline of the Lord to guide you. Decree over yourself, “Even though I walk through the valley of the shadow of death, I fear no evil, for You are with me; Your rod and Your staff, they comfort me” (Psalm 23:4). His rod will discipline you to be obedient, and His staff will direct you out of danger and onto His path of provision. Invite the Lord to shepherd your soul and every area of your life, relationships, and destiny. He will guide you into the promises of the righteous (2 Samuel 22:25; Proverbs 11:31; Proverbs 13:21; Luke 14:14). 6) Rest in the Living One. He has removed you from death and the grave. Let any area that should be dead die with Him, and let every area that should live be raised to life with Him. The Living One is inside of you and you in Him. He says over you, “Do not be afraid; I am the first and the last, and the Living One; and I was dead, and behold, I am alive forevermore, and I have the keys of death and of Hades” (Revelation 1:17-18). 7) Declare resurrection life. You have been raised up with Christ (Colossians 3:1). Declare over yourself that the same Spirit who raised Jesus from the dead dwells in you … believe it in fullness! He is LIFE to your mortal body (Romans 8:11). If any of you are sick in your bodies, begin to decree this into areas that are held by infirmity. Speak specifically over the cells, tissues, and organs that are affected, and decree His resurrection life! Do you have any idea how incredibly powerful you are? Well, you are about to find out. Because the very same power that raised Jesus from the dead – the power that shattered death’s grip, the power that overcame every manifestation of the enemy, the power that set all of creation free – the fullness of that power dwells within you. And it is about to be stirred up and ignited! In this message, Robert Hotchkin reveals what resurrection power does and how it works. 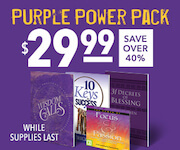 He also shares eight important scriptural keys that will help you step into the place of resurrection power so that you can see it explode in your life ­– accelerating you into breakthroughs and empowering you as a revivalist! The discipline of the Lord comes from a heart of love and the desire to see us walk in all the blessings, benefits, power, and purpose of everything He created us for. In this teaching, Patricia King delves into the important subject of the loving discipline of the Lord. As you listen to this message, you’ll discover what the Word says about the discipline of the Lord, why it is a good thing for us, how we can receive it, and the amazing benefits that it brings to us. When you have finished with this message, you will see discipline in a whole new way and more than likely will be asking God to please, please, please be generous with His discipline in your life. Do you long to know more of Jesus? Is your heart’s cry to go deeper in relationship with Him? The key is to learn how to rest in God. 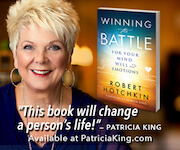 In this insightful message, Robert Hotchkin shares how God is waiting to draw you into a greater revelation of who He is – in every area of your life and in all the situations you face. This message will bring you peace and launch you into a new place of security in God where nothing hell sends against you will cause you fear or anxiety ever again. Get ready to enter God’s rest and know victory in every circumstance you face. In this four-part teaching, Patricia King shares how to live in the Kingdom abundance and fruitfulness of God’s glory! Scripture by scripture, you will discover that this truly is what the Lord has promised you as a new creation in Christ. Allow these messages to revolutionize your life. Start enjoying the riches of heavenly glory!